Are you thinking about trading out your traditional hot water heater for a tankless system from our HomeAdvantage II line? We think you’re making the right move. Tankless hot water heating systems help homeowners conserve energy and water, as well as save money on monthly utility bills. After all, what makes more sense: Heating water instantly and on demand, or letting gallons upon gallons cool in the tank after you expended costly energy warming it up, only to heat the same water again later? Where can I install a HomeAdvantage II tankless heater? Simple: Anywhere you want immediate access to hot water. Also consider places around your home with high hot water demand. These systems are perfect for bathrooms, kitchens and slop sinks in your laundry room or garage. How do I know which model complies with my unique water usage? The HomeAdvantage II product you choose will depend largely on the volume of water you go through regularly, the temperature of the water as it enters the tankless system and your ideal temperature for the water as it leaves the system. Anything technical I should know about? All HomeAdvantage II systems deliver the exact same gallons per minute (0.3) and range of pressure (25 to 150 pounds per square inch). 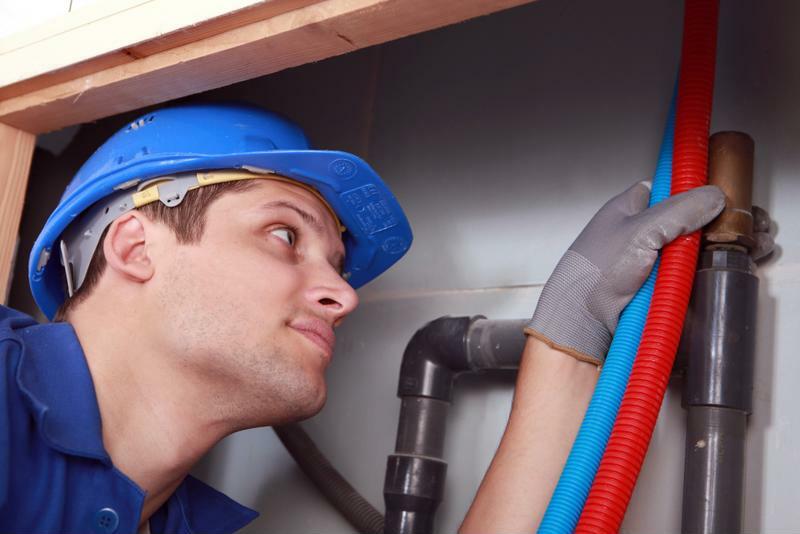 However, there a few worthwhile factors to weigh regarding plumbing and electrical infrastructure. Certain HomeAdvantage II models require ½” water connections, and others ¾”. All you have to do is match your prospective tankless water heater with whatever your current plumbing demands. Before selecting a tankless hot water system, check the width of your pipes. Second, any tankless system must have a hardwire connection to a dedicated circuit breaker. We list amperage requirements and our suggestions for electrical wire gauge here. Some models may also require more than one wire connection. One last thing: HomeAdvantage II models have a plumbing connection on either the sides or the bottom. You may need to choose a certain model based on where you plan to install it or how your plumbing distributes throughout your home. Models with plumbing configuration on the sides cannot be engineered to come out the bottom and vice versa. If your tankless hot water heater is connected to plumbing and electrical systems by a trained professional, there’s nothing to worry about. Nevertheless, we encourage you to talk to your contractor about which local, state or national codes will affect your installation. Ready to completely change how you experience hot water in your home? Check out all the models in the HomeAdvantage II line and speak to an Eemax representative today to get started.